I was a bit confused when I first received these products and saw Shine Lover & Lip Lover written on them. I had to open the package to decipher which was which. 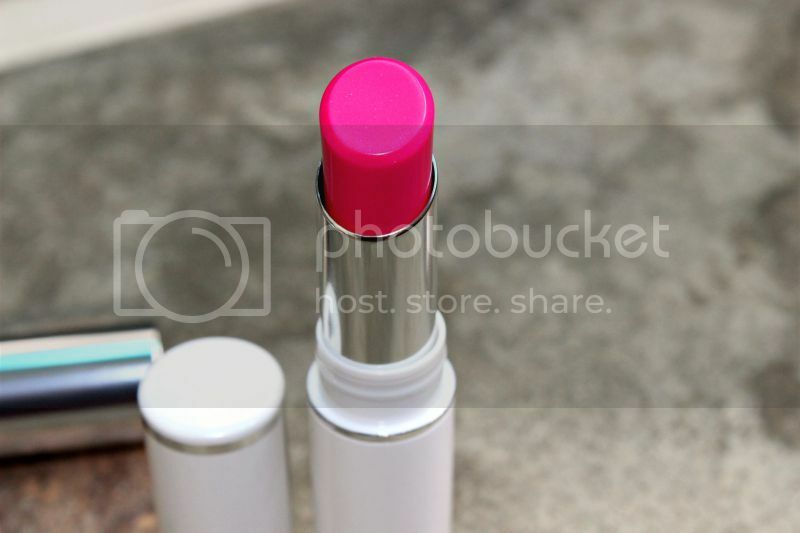 Lip Lover is the gloss and Shine lover is the lipstick. I don't like the colour pink. I genuinely don't but sometimes, just sometimes, I change my mind about the colour when I'm faced with a shade of the colour which is absolutely gorgeous, and these are gorgeous shades of pink so they are staying with me and going nowhere, lol. 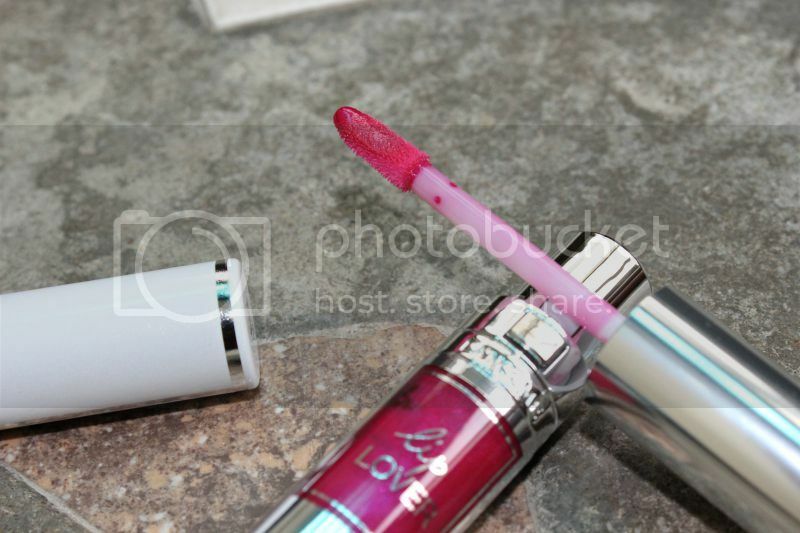 Lip Lover - A dewy intense lip colour that creates shine and colour without sacrificing moisture. Captivating colour intensity combines with the hydration of a balm in this new 3-in-1 elixir formula. The balmy base provides up to eight hours of moisture while a smoothing layer reduces the appearance of fine lines and creates a dewy shine. Finally the saturated pigments provide the ultimate colour pop. Shine Lover - Shine Lover is a promising invitation for brightness, freshness and lightness. Since lip texture and colour affect the overall harmony of one's face, Lancôme reveals its first healthy glow effect lipstick which gives an irresistibly captivating and sparkling luminous look to the face. 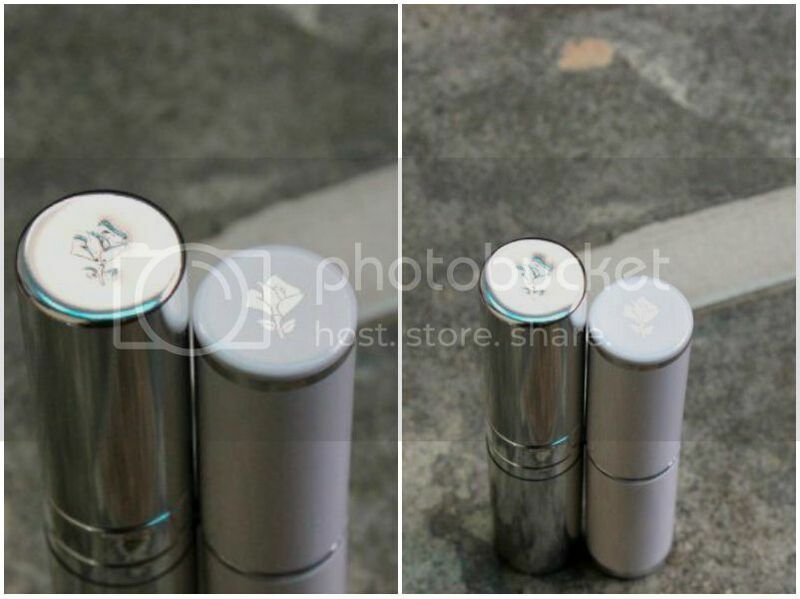 Its smooth balm texture delightly melts onto your lips, to create a revived look. Luminous and radiant, Shine Lover's vibrant colours are a perfect match for your own smile. 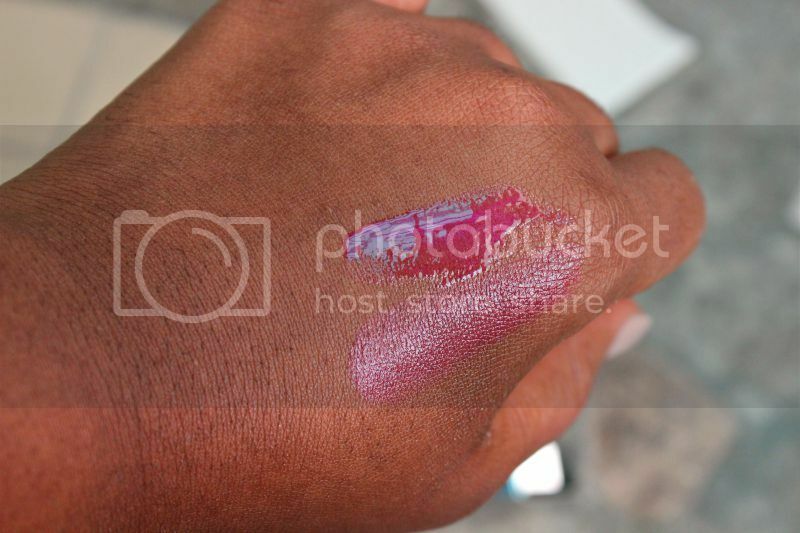 Gosh I love that Lancome rose. It's so iconic. 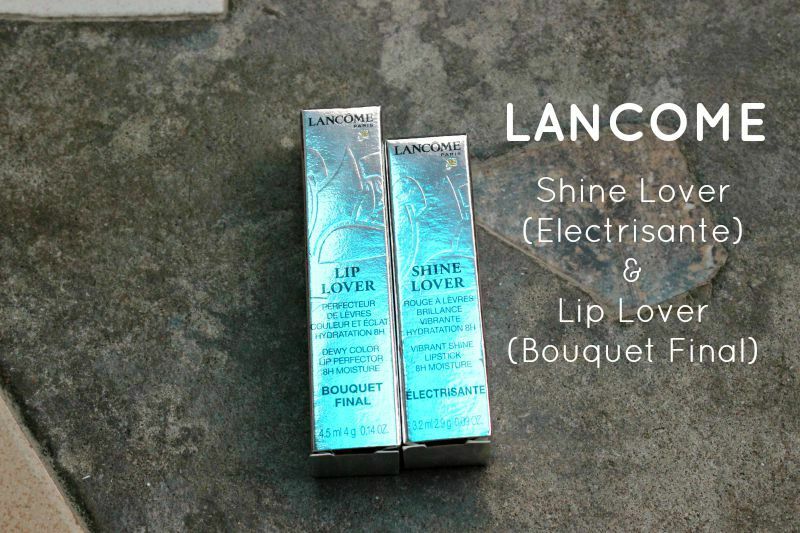 It's strange though that apart from the rose at the top, there is no other branding on the Shine Lover but the Lip Lover has Lancome written on the tube itself outside of the rose. 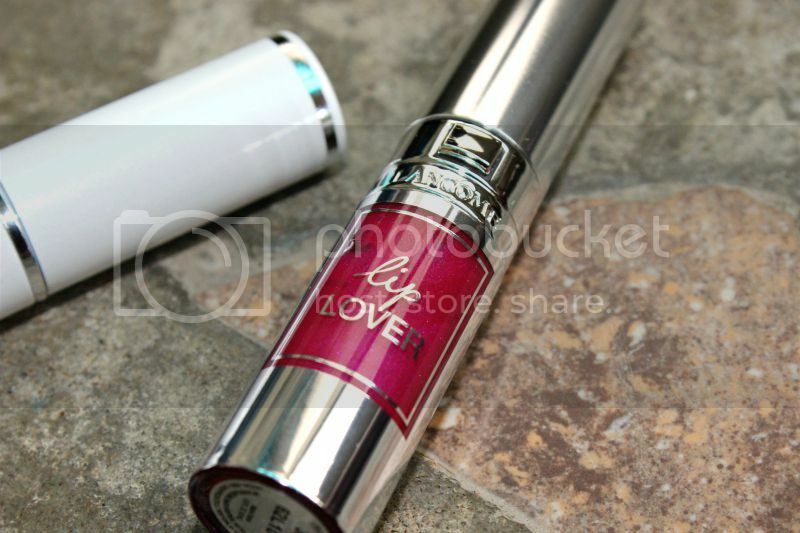 That little square popping out of the tube above the Lancome is actually what pops the lid of the Lip Lover. Swatches. 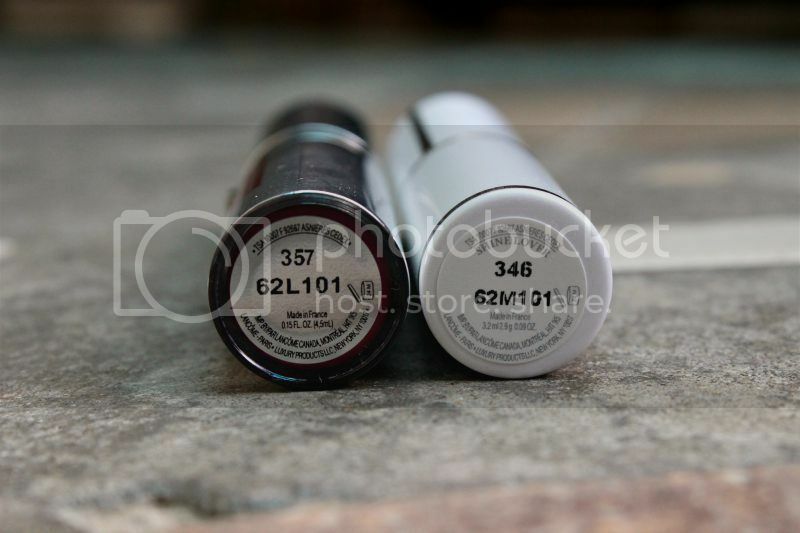 Both have a shine to them with the gloss appearing more pigmented than the lipstick. It's great to have a premium brand like Lancome in Nigeria I must admit. A couple of my Ghana based fans are already drooling over my goodies and are on their knees praying that a Lancome outlet is opened there, lol. Full review & a lip tutorial using these products coming soon.